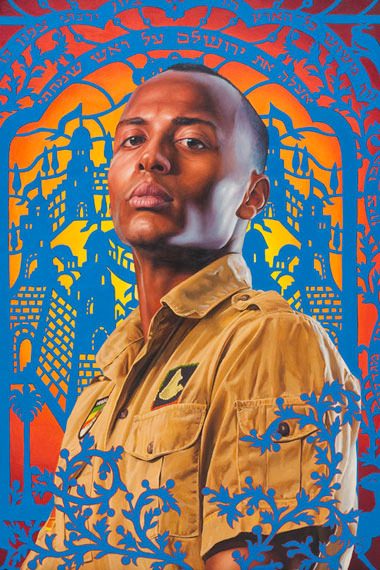 Wiley’s paintings often blur the boundaries between traditional and contemporary modes of representation. 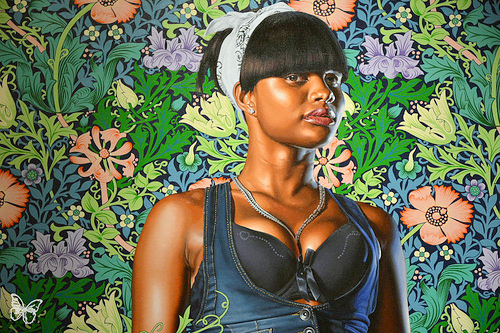 Rendered in a realistic mode–while making references to specific Old Master paintings–Wiley creates a fusion of period styles, ranging from French Rococo, Islamic architecture and West African textile design to urban hip hop and the "Sea Foam Green" of a Martha Stewart Interiors color swatch. 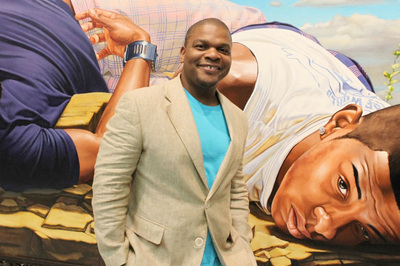 Wiley's slightly larger than life size figures are depicted in a heroic manner, as their poses connote power and spiritual awakening. 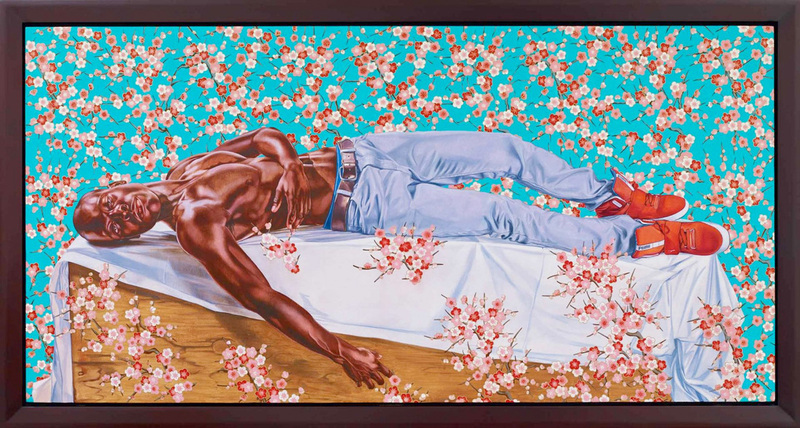 Wiley’s portrayal of masculinity is filtered through these poses of power and spirituality. 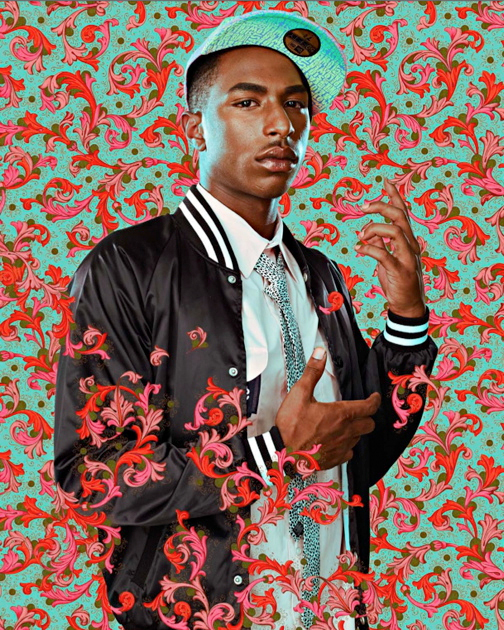 Place image of model in Illustrator--create "interaction" between background and the person (wallpaper should be behind, in front, around, and through the person and their clothing)......Be creative with how to "INTERACT"
Kehinde Wiley [from Wikipedia] (born 1977) is a New York-based portrait painter, who is known for his highly naturalistic paintings of people with black and brown skin in heroic poses. 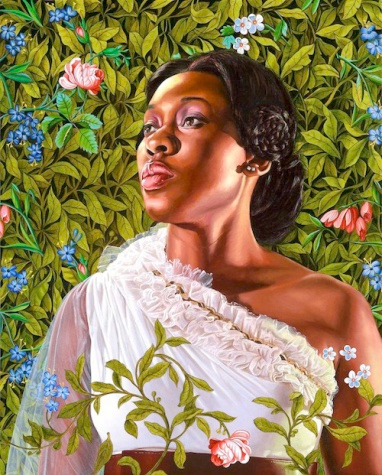 Art Wiley's painting style has been compared to that of such traditional portraitists as Reynolds, Gainsborough, Titian and Ingres. 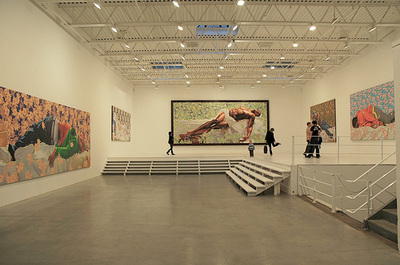 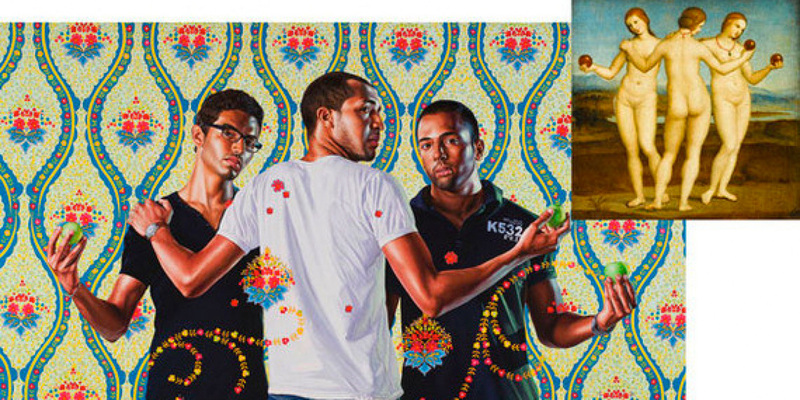 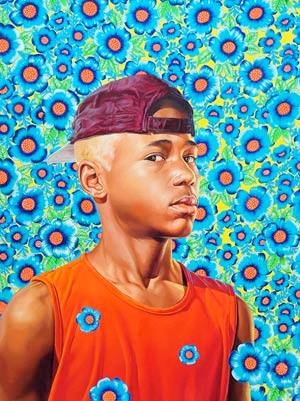 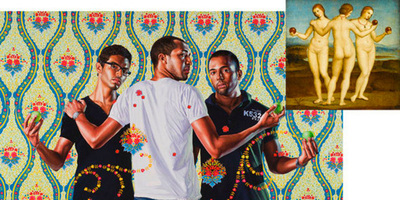 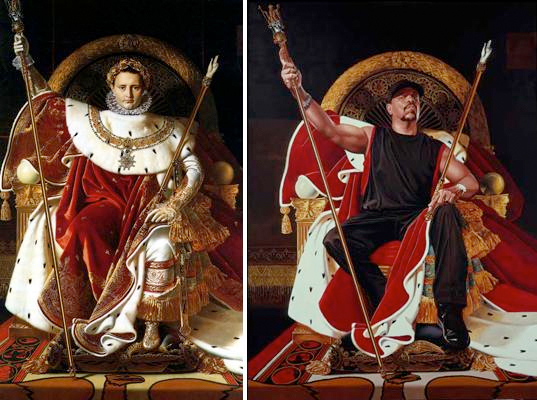 The Columbus Museum of Art, which hosted an exhibition of his work in 2007, describes his work with the following: "Kehinde Wiley has gained recent acclaim for his heroic portraits which address the image and status of young African-American men in contemporary culture."